It was my amazing husband. He is so awesome and so supportive. Remember when he wrote Confessions From the Husband of a Celiac? He is just so great. Having celiac disease is not always easy, but when you have a great support system it definitely helps! Halloween is now just a few days away, and I know what you are thinking, “Can I eat the candy?” Halloween is about more than little kids dressing up in cute costumes (my daughter is going to be a captain from StarTrek, if you don’t already follow me on Instagram you should, there will be pictures! 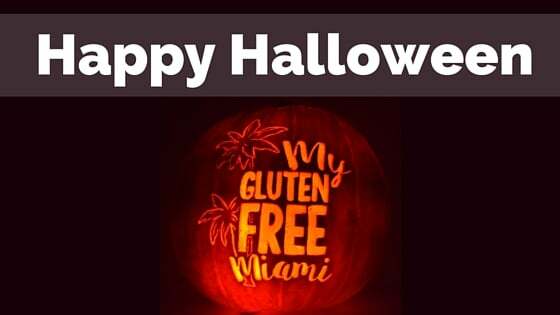 @myglutenfreemiami) it is about seeing how much candy you can eat without getting sick. Being gluten-free can make it a bit tricky, but definitely not impossible. It is a fun holiday, but as always be careful with allergies. Don’t let your child eat their candy before inspecting it and checking the allergen information. Mini candy versions are not always produced on the same lines as full-sized candies, so it is always a good idea to double-check. When in doubt throw it out. You may have seen this floating around Facebook, but if you are willing to provide non-food treats, such as stickers, mini-tattoos, and spider rings then be sure to display a teal pumpkin. 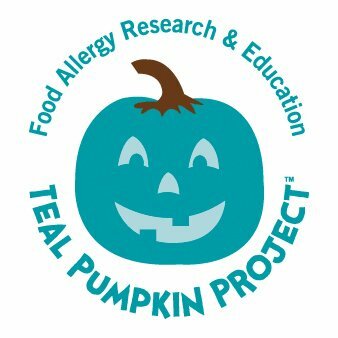 For more information check out the Teal Pumpkin Project. Have a fun and safe Halloween! Don’t forget to follow me on Instagram! You won’t want to miss the adorable pictures! Hi Amanda, thanks for the link to the list for gluten-free candies, I pinned it for future reference, too. Happy Halloween! Great ideas! I love the non candy Haaloween treats!